That's right! 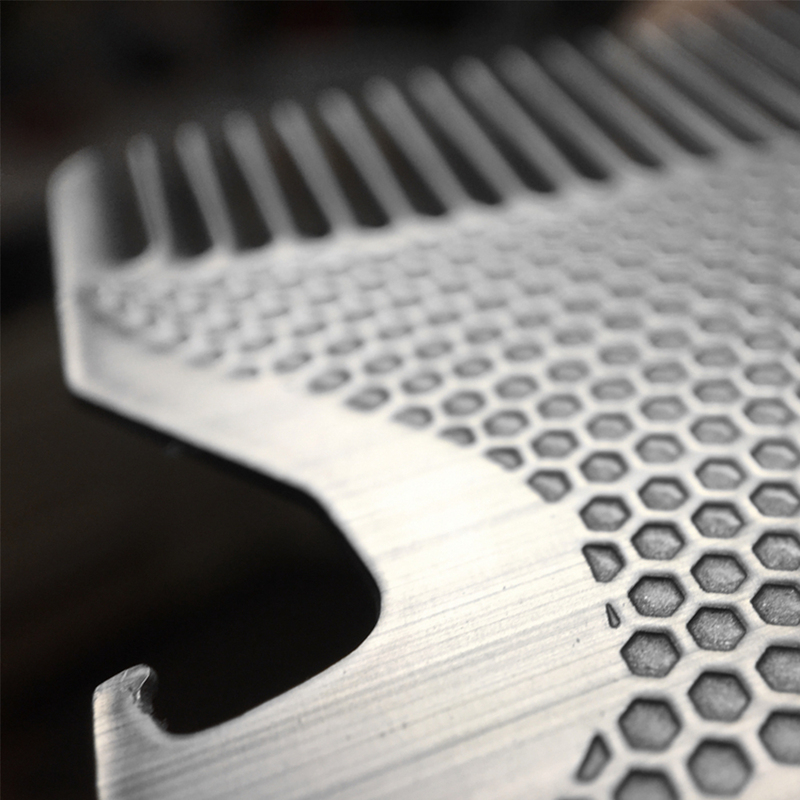 A stainless steel go-comb with functional bottle opener, so you can party in style. 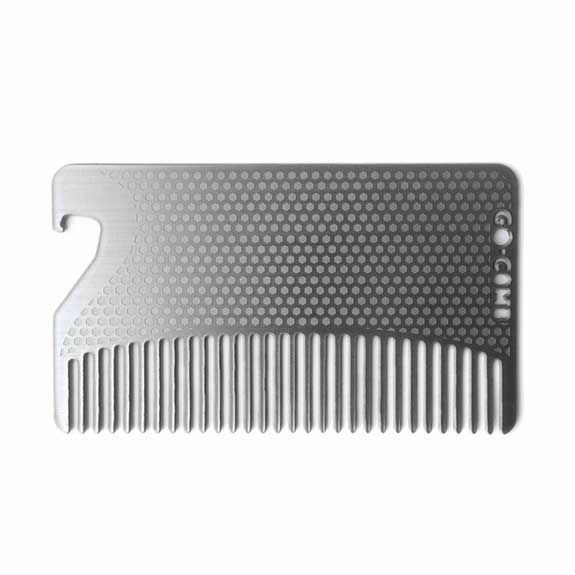 This go-comb has a lightly-etched mesh design and fine teeth, great for short hair, beards and mustaches. If you like to spruce up throughout the day, or prefer to travel light, a go-comb is a great accessory you can take anywhere. Go-combs are independently designed by Heather Burkman in Brooklyn, NY. Metals are produced abroad and finished in the U.S.